Table top dimensions- 71.5" X 41"
Table top weight- 70 lbs. Wine Barrel weight- 43 lbs. 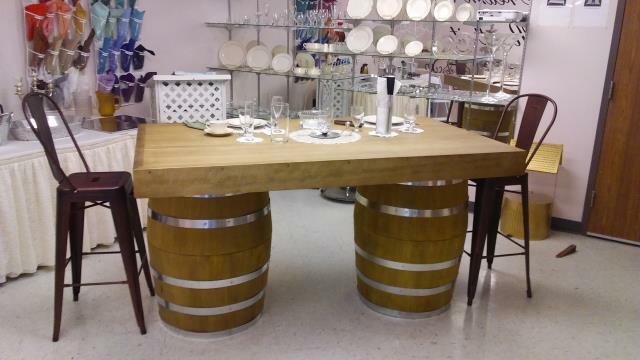 * Please call us for any questions on our wine barrel table rentals in Fort Madison IA, serving Southeastern Iowa and Western Illinois.